Both records feature female vocalists, but other than that they're rather distinct. 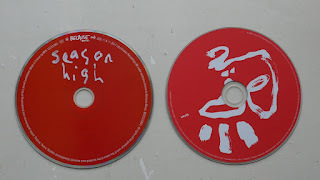 The record on the left is the fifth album by Swedish electronic group Little Dragon, while the record on the right is the debut album by London-based guitar group Pumarosa. 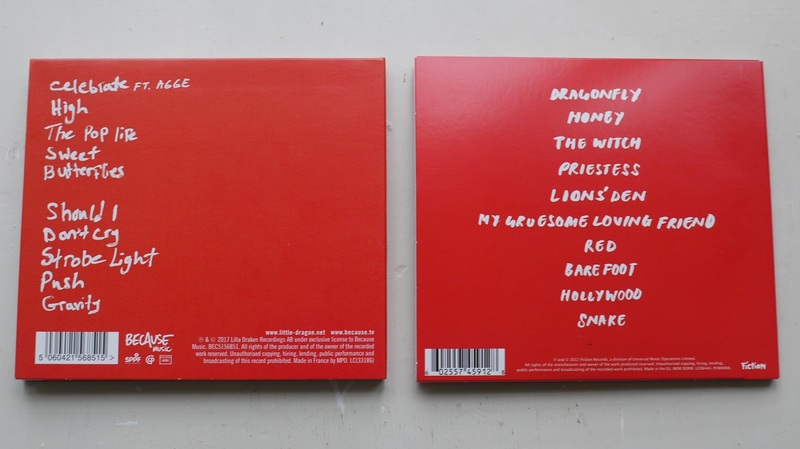 The Little Dragon record contains no guitar parts at all, whereas the Pumarosa album is mostly guitar with the odd bit of sequencing or keyboard colour. I bought these albums in Fopp, near Covent Garden, and it was on a much earlier visit to the same shop that saw me buying Little Dragon's second album, Machine Dreams. I hadn't heard a note of the music, but the cover intrigued me and I've always found that to be a generally reliable guide to investigating and discovering worthwhile new music. I adored Machine Dreams, and bought all the subsequent releases. I liked them so much that I even named a character in one of my stories after the singer, Yukimi. 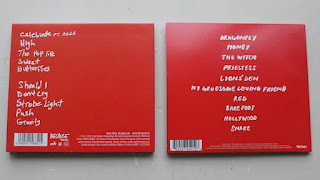 None of the subsequent albums have quite lit my fire as much as Machine Dreams, but there are many beautiful moments on all their records, and I admire Little Dragon for doing what they do, making music that sounds fresh and forward-looking, owing (other than the odd retro synth-sound) very little to the past. 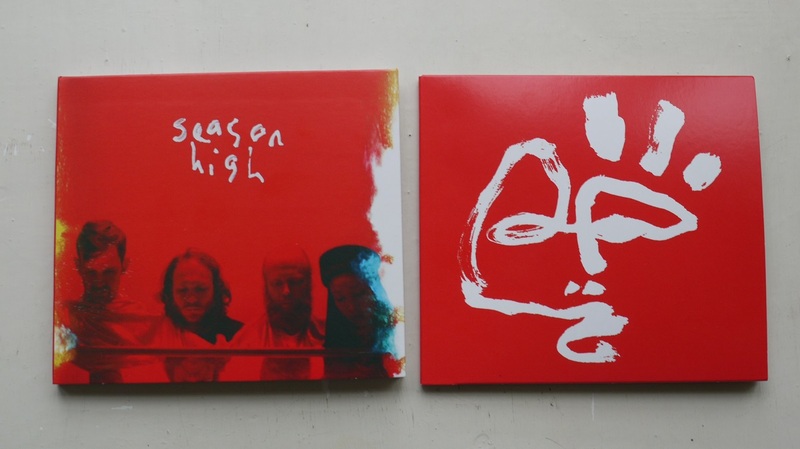 I've only given the new release, Season High, a single listen so far but I look forward to discovering its undoubted charms. I came to the other record by more conventional means. I'd caught a performance by Pumarosa on BBC2's Jools Holland program and within a few bars knew instantly that they were going to be my new favorite thing. 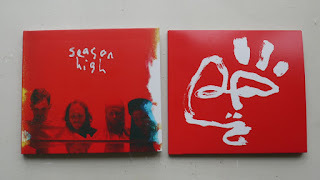 At that point I knew next to nothing about the group but I then spent a happy few years catching up with some of their songs on Youtube, and was pleased to discover than an album had just been released. Rather good it is too: exactly the kind of trancey, driving guitar rock that does it for me, alloyed to Isabel Munoz-Newsome's distinctive and swooningly theatrical singing approach, which won't be everyone's cup of tea, but works (in my view) very well in this musical setting. I've read comparisons between her voice and Siouxsie Sioux's, obviously no bad thing if you're of my generation, but that's only one point of reference. I also picked up a bassline that reminded me strongly of Simple Mind's Love Song, but then again, that's one of the most mesmerising basslines in the history of music, so again - no bad thing at all. And I commend them both for your listening enjoyment. Scrolling through a small list of files, Sheng settled on some mid-period rock he’d copied over from Parry Boyce’s much larger music library. Some of the other miners mocked Parry’s tastes, but the way Sheng saw it, if you needed something to cut through the background drone of generators and pumps, there was not much out there to beat amped guitars, hammering drums and screaming vocals, no matter when it was recorded. It was driving music, for the ultimate drive. ‘Tommorow begat tomorrow…’ Sheng sang along, music filling his helmet like a derailing freight train. With the long cylinder of the lubricator nozzle unclipped, he pulled some mean guitar shapes like the secret ax hero he’d always imagined he could have been. He knew he looked ridiculous, making those moves in an ancient orange Orlan 19, bulked out with panniers, but his only audience was ancient alien machinery. Sheng considered it a reasonably safe bet that the ancient alien machinery had no particular opinion on the matter. Sheng was not quite right in that assumption.